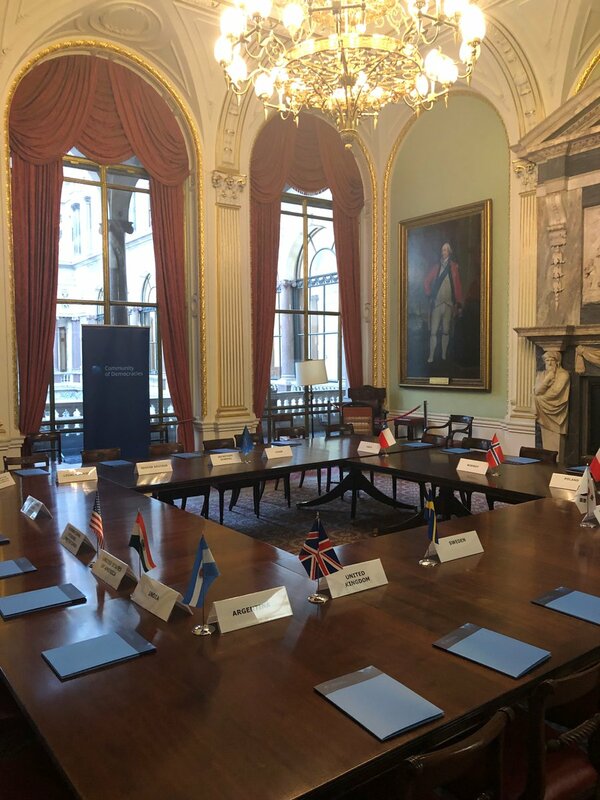 On January 28th, Member States of the Community of Democracies’ Executive Committee gathered in London for the 61st face-to-face Executive Committee session. The session took place a day before the Governing Council meeting, held on January 29th. The Executive Committee Member States discussed current issues and the CoD’s activities in line with its Strategic Objectives for 2018-2023. The meeting was chaired by the United Kingdom- current Chair of the Executive Committee.